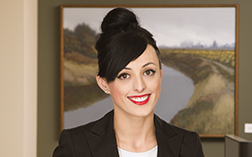 Emily Ann Albrecht joined Betts, Patterson & Mines in 2013 as a member of the Defense Litigation Practice Group. Her practice focuses primarily on the areas of mortuary litigation and insurance defense, including motor vehicle liability, professional liability and product liability litigation. Emily’s experience includes defending clients ranging from funeral homes, licensed funeral directors and embalmers, to Fortune 500 retailers, manufacturers, and pharmaceutical companies, insurers, and contractors in construction disputes. She regularly appears as local counsel for national complex litigation matters in both state and federal court. In October of 2017, Emily accepted an invitation to become an Associate Fellow of the Litigation Counsel of America. Emily also serves as the preferred counsel for the Washington State Funeral Directors Association. Represented funeral home, licensed funeral director and embalmer against claims of negligence, tortious interference with a dead body and violation of the Consumer Protection Act. Successfully dismissed Consumer Protection Act claim as a matter of law on partial summary judgment and obtained defense verdict at trial (second chair). Defense of a pharmaceutical company in personal injury and wrongful death actions involving extensive discovery and motions practice resulting in dismissal without appeal. Secured early and favorable resolution for homeowner’s insurer with subrogation claim against third party insurer in contested liability case involving extensive water damage in a multimillion-dollar residence. Obtained voluntary dismissal without compensation for fireplace manufacturer against claim of product defect.